Certain scenarios require that Projects have different statuses than their parent Spaces. 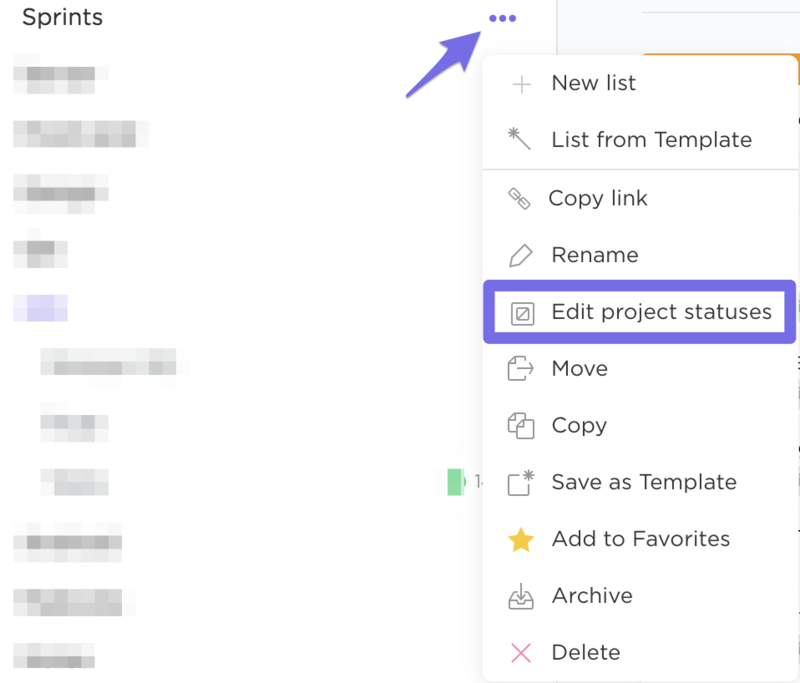 In just a few simple steps, you can implement custom statuses for your Projects that will delineate your workflow on a whole new level. How do Project Statuses work? By default, Projects inherit status settings from the Spaces in which they are located. You can override this and customize statuses on the Project level using the sidebar menu. Select the ellipses ... next to a Project and click "Edit project statuses". 2. Choose the Custom statuses option to select or create statuses for your Project. 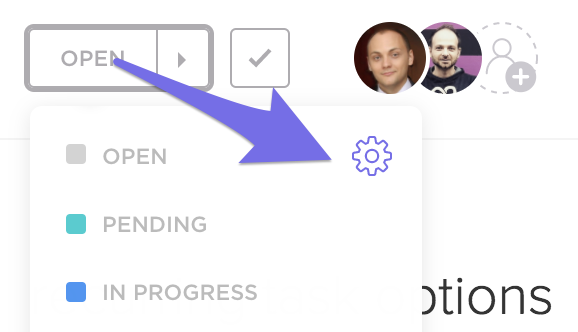 You can also edit your Project's statuses in Task View by selecting the Gear icon in your custom status drop down menu. Whenever you move a task to a Project that does not have the same statuses, you'll be presented with an option to convert your old task statuses to the new Project's statuses. 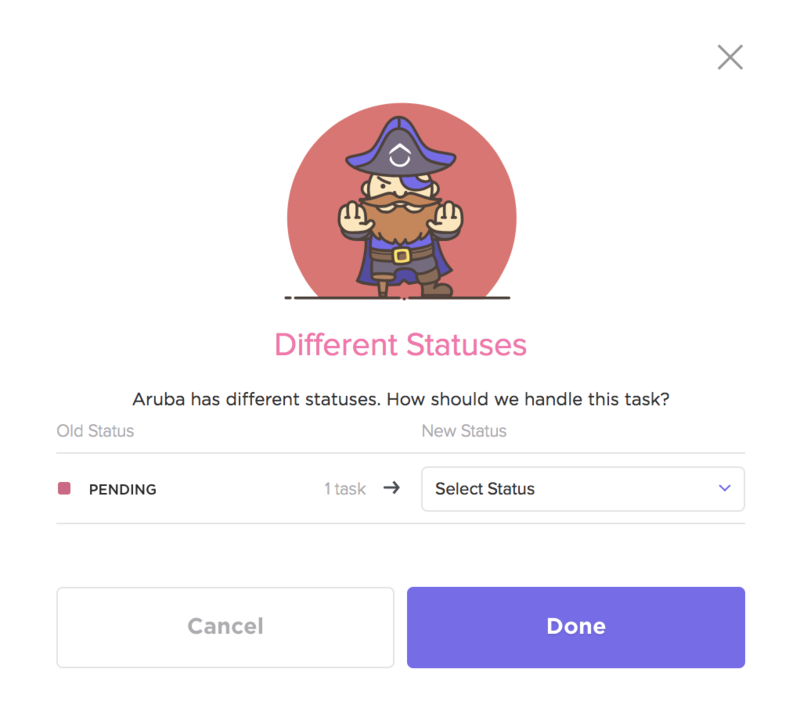 Just select the new status you'd like the task to adapt, and press Done ! If you're having trouble identifying the source of some of your custom statuses in Board View, check out this doc!